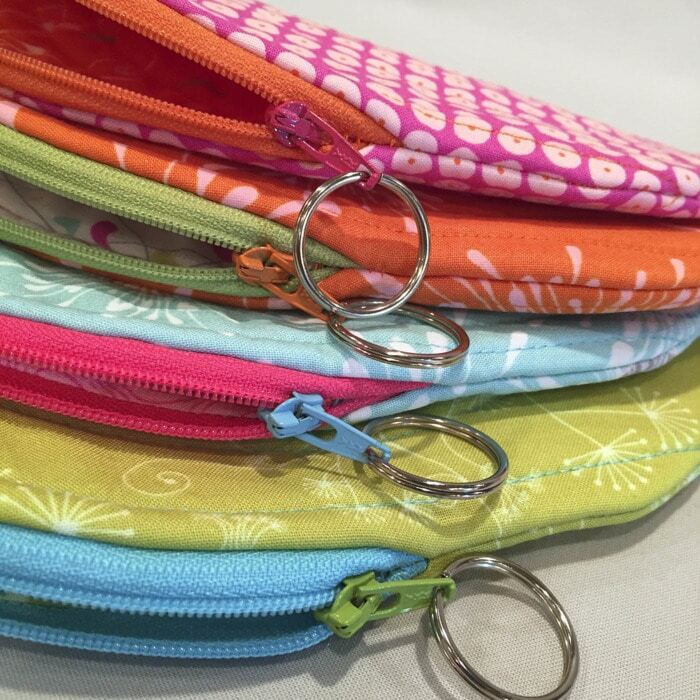 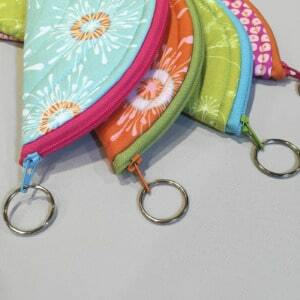 Add a split ring to the zipper pull of our projects to dress up your design. 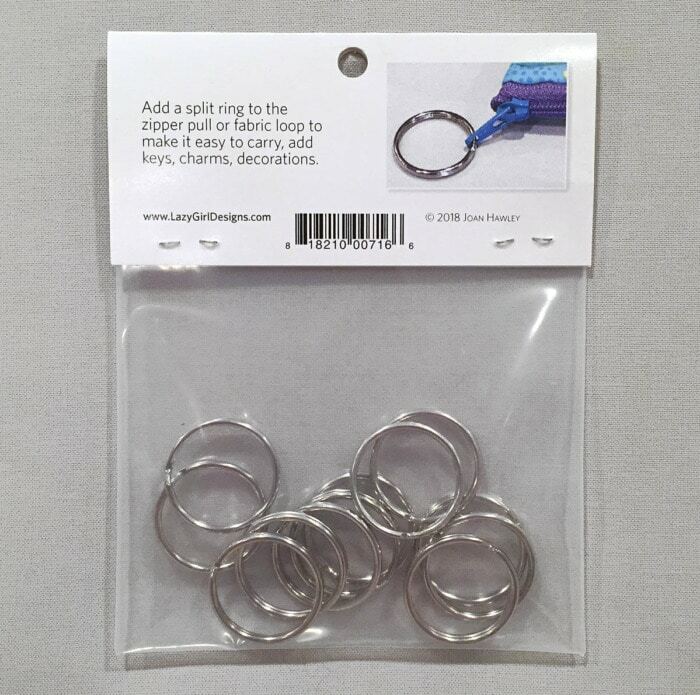 Split rings make great grab rings to zip/unzip or attach to something else. 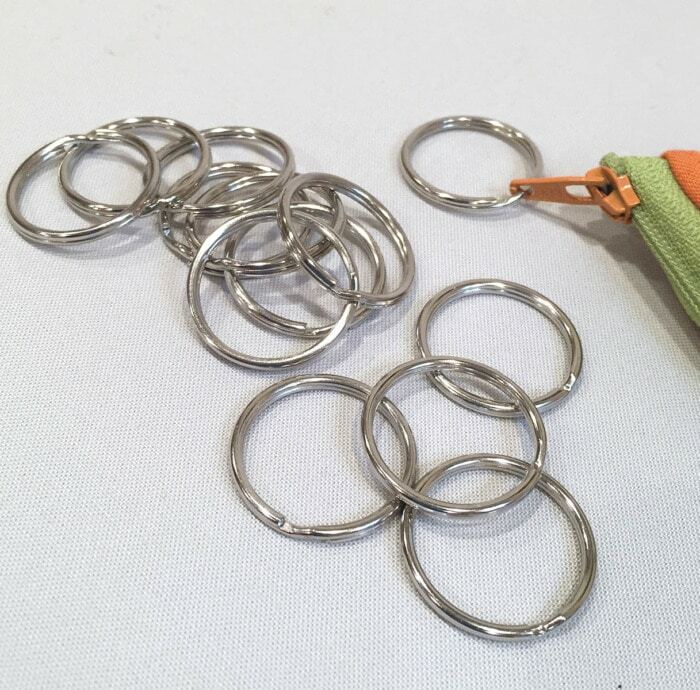 Specifically fits the hole on size #3 YKK brand zippers. 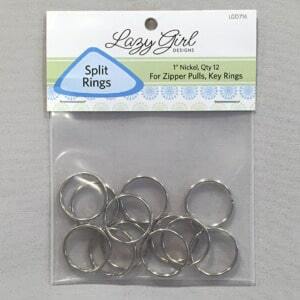 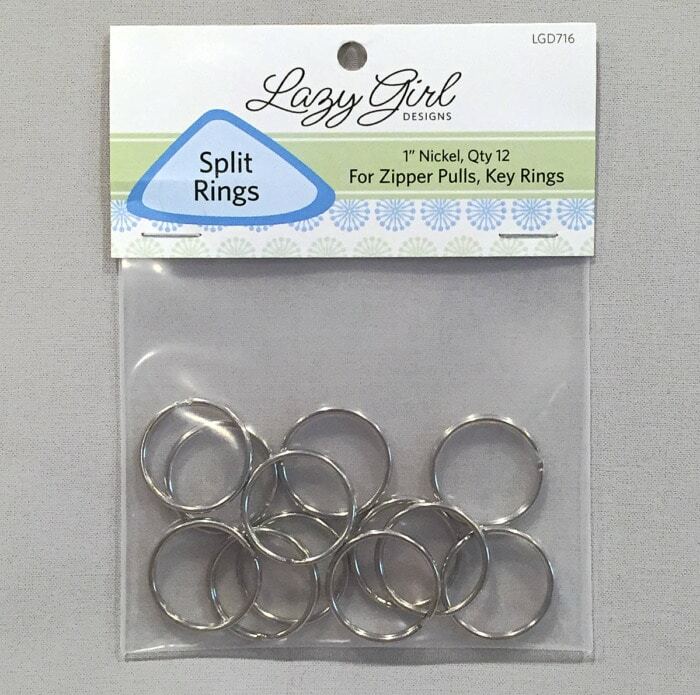 Use with all Lazy Girl Designs zipper patterns. 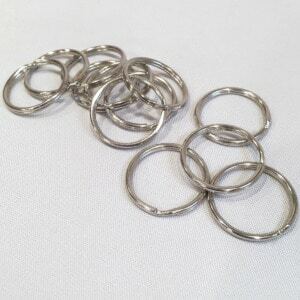 Split rings in nickel finish, size 1in, package of 12 rings.